Jesus said the most important issues upon which everything rest is “Loving God with all our heart, soul, mind, and strength” and “loving your neighbor (those close to you) as yourself” (Mark 12:30-31, Matthew 22:37, Luke 10:27). Most of the problems in local church life are not theological as much as they are relational. Usually they entail some form of failure in handling sensitive relational interactions. This is why approximately 44% of the instruction in the Epistles are about how we relate together with fellow believers. God’s people need to have His presence and wisdom in handling sensitive interactions. 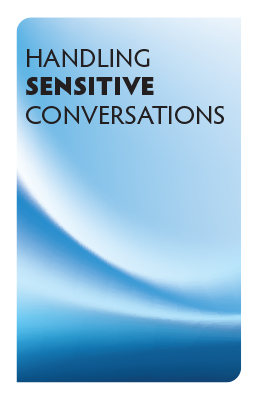 In the study “Handling Sensitive Conversations” we will examine God’s wisdom in handling challenging relational interaction.